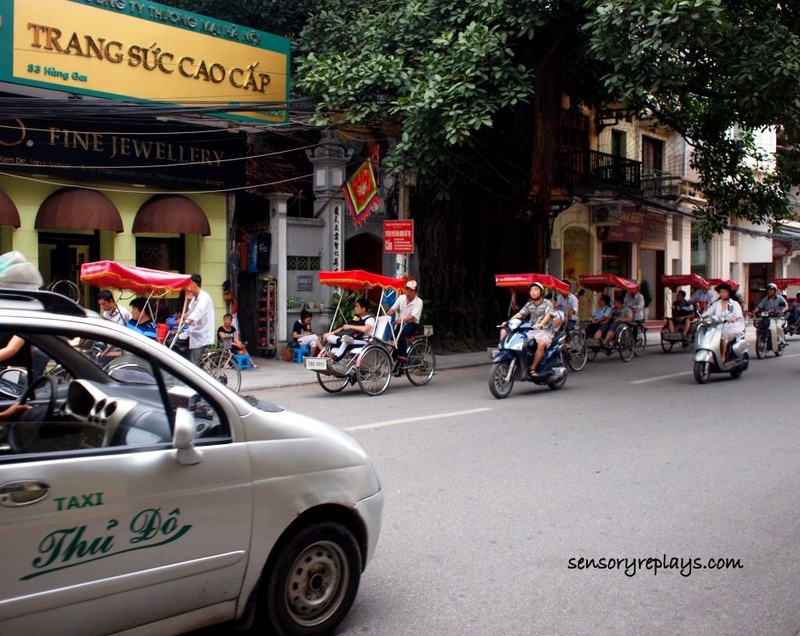 the old quarter in hanoi is a mix of the old and the new. i think it’s a natural phenomenon (!) to get lost on its busy streets where motorbikes and cyclos dominate. i almost got hit by a careening bike as i was crossing the street, it is something that one should be cautious of when walking along on these streets. 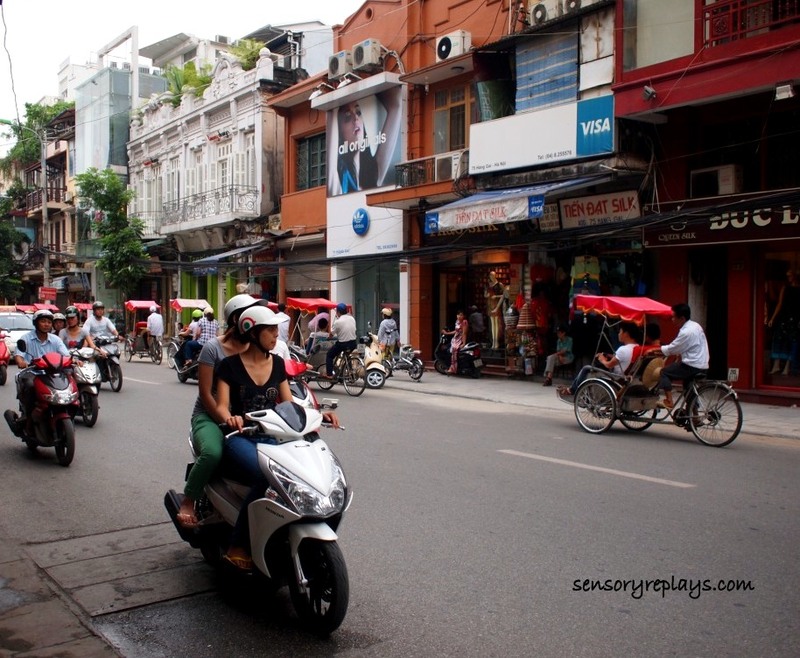 motorcycles is the primary mode of transport in major cities of vietnam. it accounts for 60 – 65 percent of vehicular trips, with bicycles accounting for another 25 percent (sourced from worldbank.org). i almost got scammed by one taxi driver when i noticed his meter was “running” too fast for a short distance ride. though we were shouting at each other – him telling something in vietnamese, me saying “i would not pay for that” and gave him the supposed correct fare that left him a bewildered look. 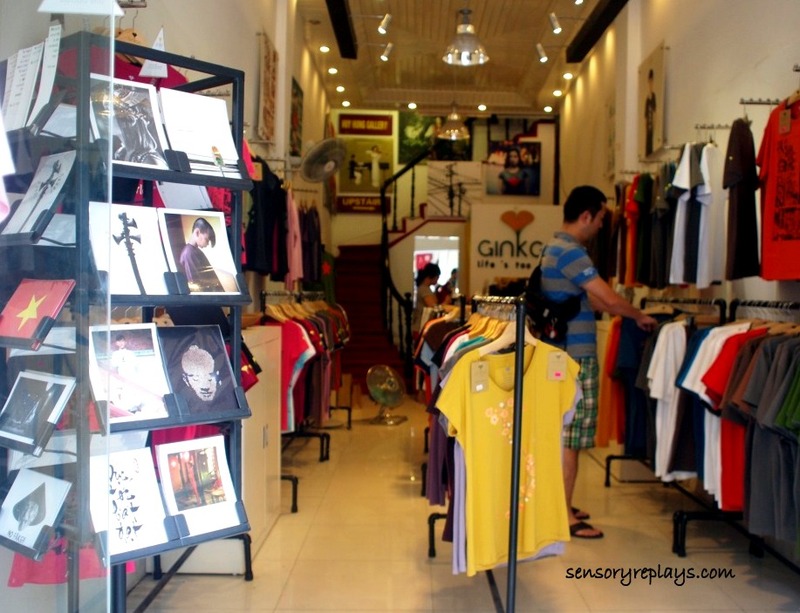 i accidentally passed by this shop selling trendy shirts and are “originally vietnam”. 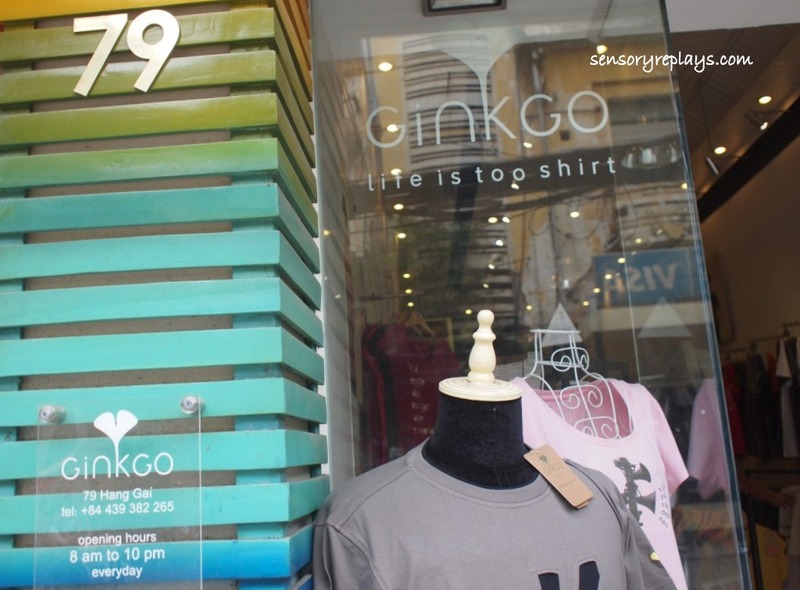 ginkgo was established in ho chi minh city in 2007. their shirt designs represents vietnam pop culture. their shirts have a very reasonable price. i got three shirts for myself and one for my good friend, docgelo. 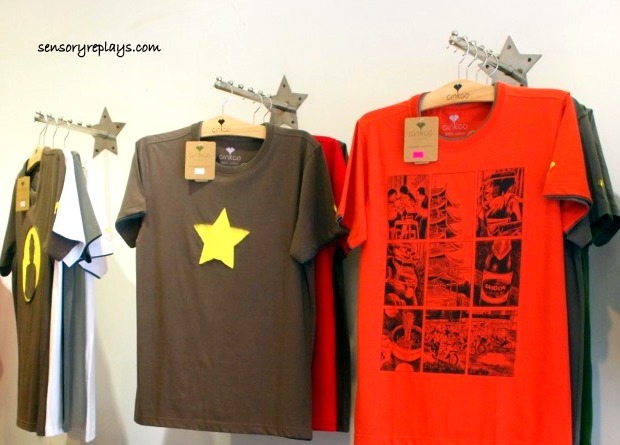 these designs are “star” and the comic book design, “saigon story”. 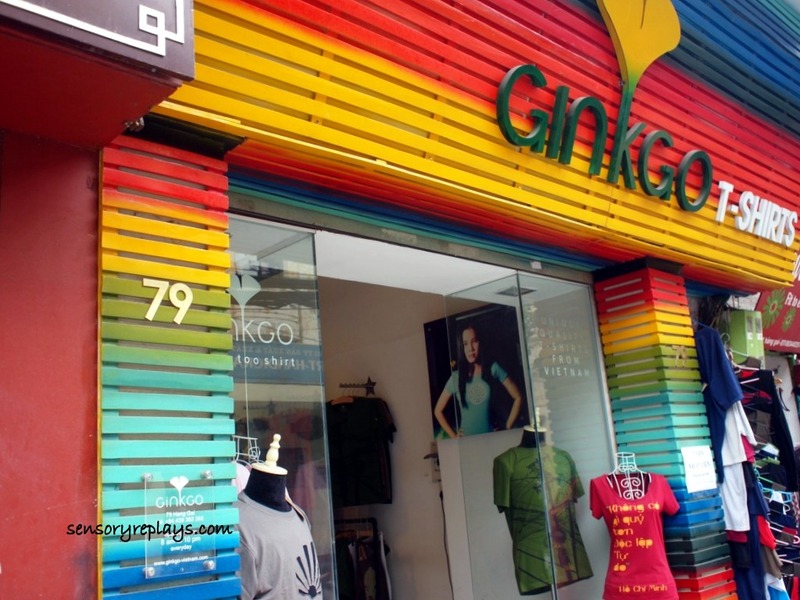 ginkgo is available online for international orders. check their website here. 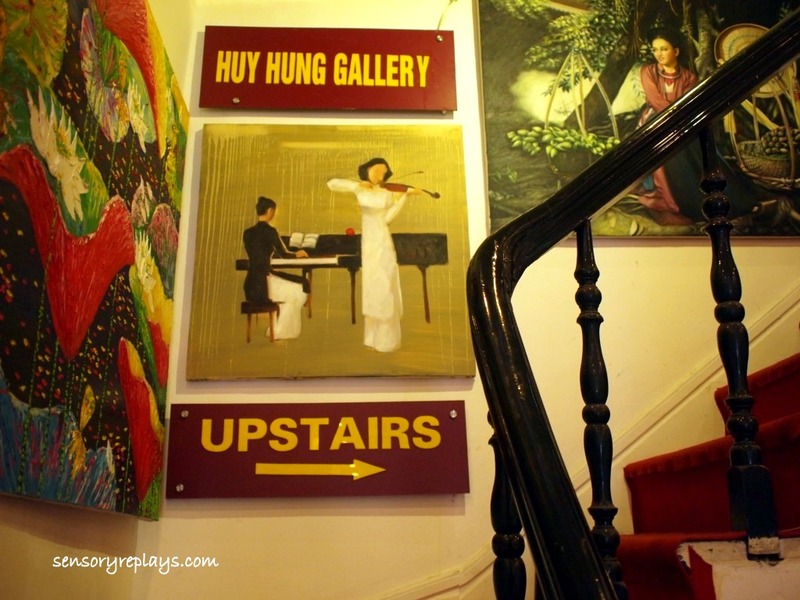 interestingly, the ginkgo shop in hanoi has an art gallery upstairs. an impressive canvas painting on the floor. locals doing their daily life routines. do you think she looks vietnamese? 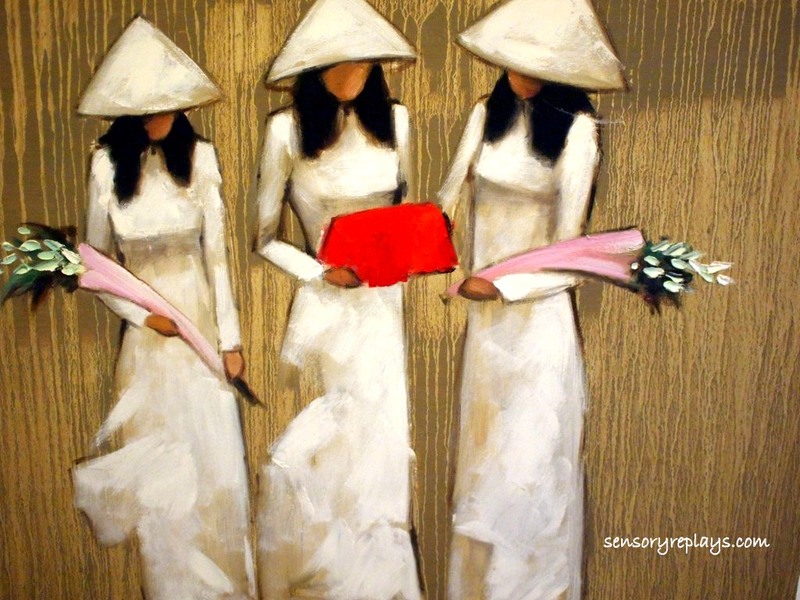 one thing i noticed with hanoi is that most of their women have porcelein-like skin and beautiful features. women wearing ao dai, their national costume. 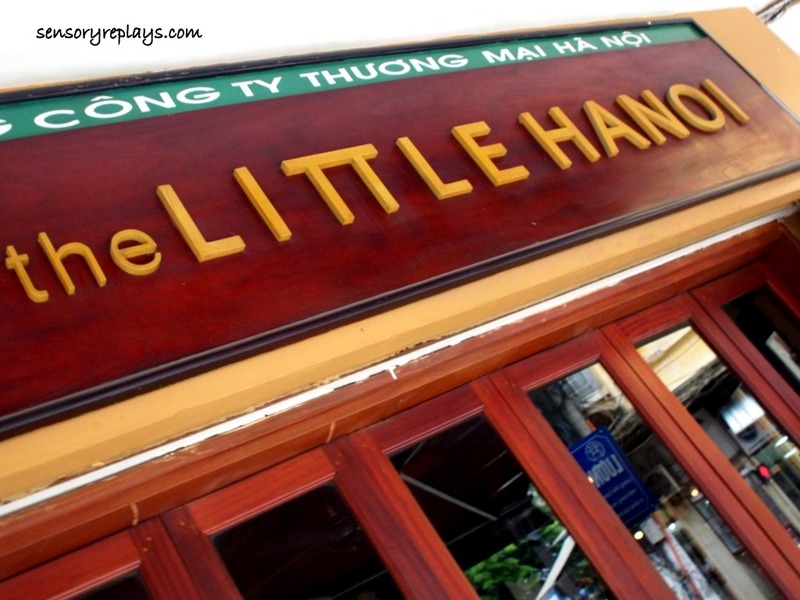 i left the shop with a grumbling tummy and searched for a nice restaurant for lunch and found little hanoi. 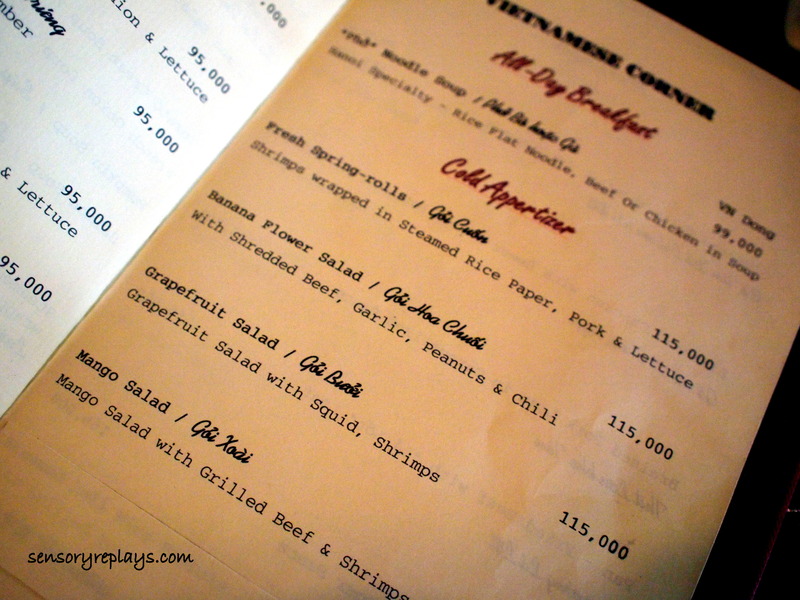 the restaurant offers vietnamese and western dishes and of course i was craving to taste some local food. 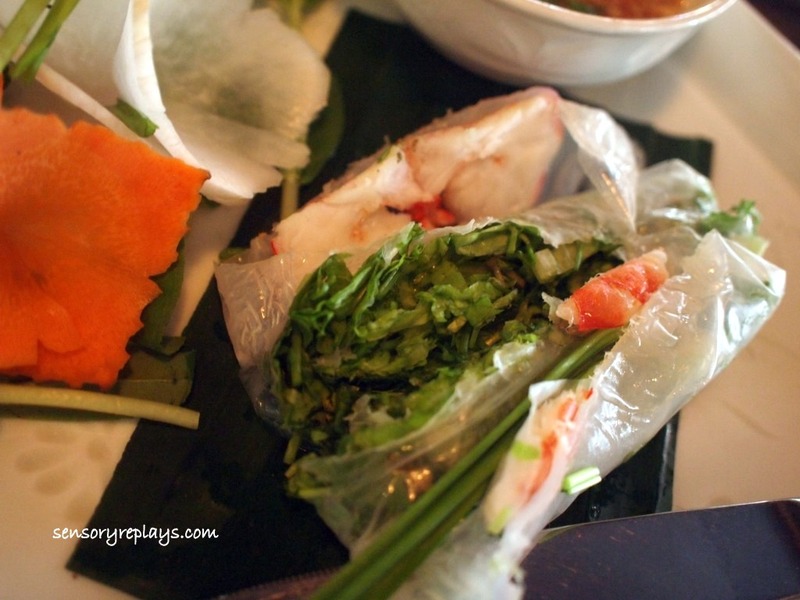 as an appetizer, i ordered some fresh spring rolls, succulent shrimps wrapped in rice paper. the original recipe has pork on it but i requested the waiter not to put any. 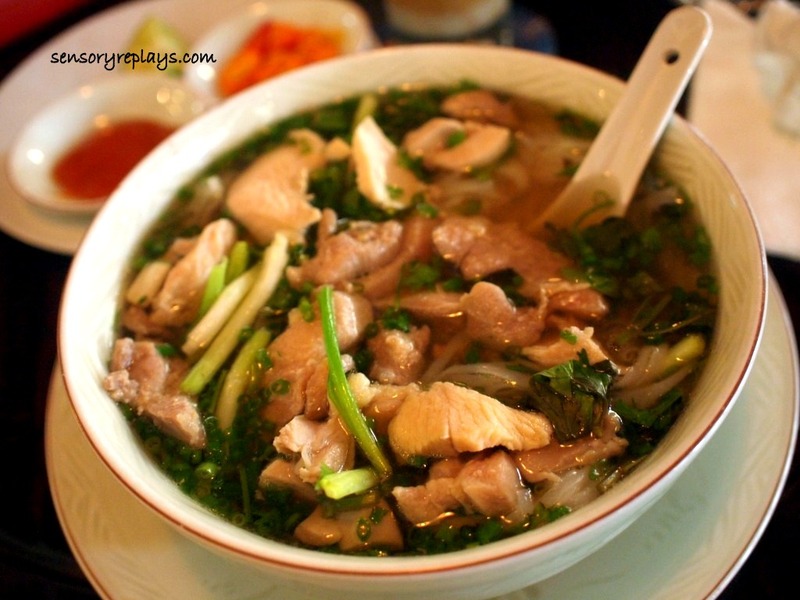 i also had some pho ga (chicken noodles), hanoi specialty. it’s a big serving but still i was able to finish it. 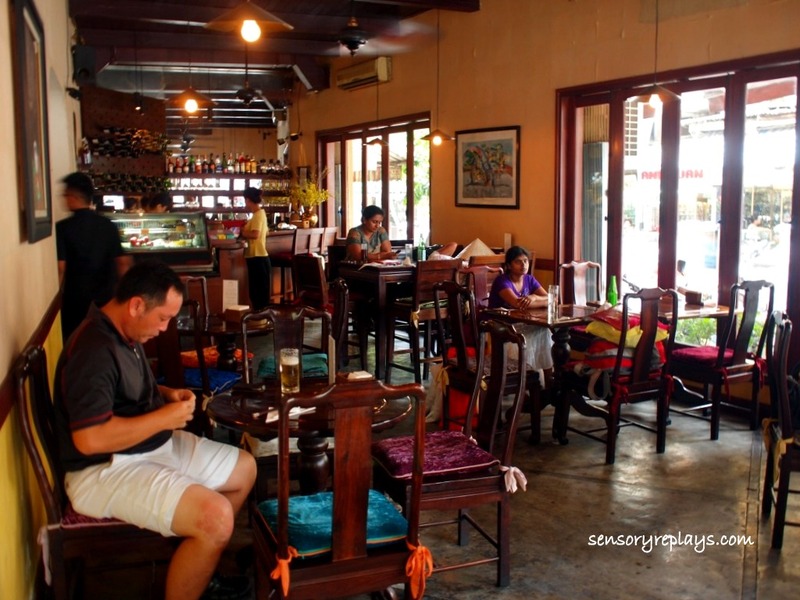 it has mixed positive and negative reviews back at tripadvisor website and some found it pricey but personally i enjoyed what i ordered and it satisfied me. the service was also good with their friendly staff but they do not accept credit cards. 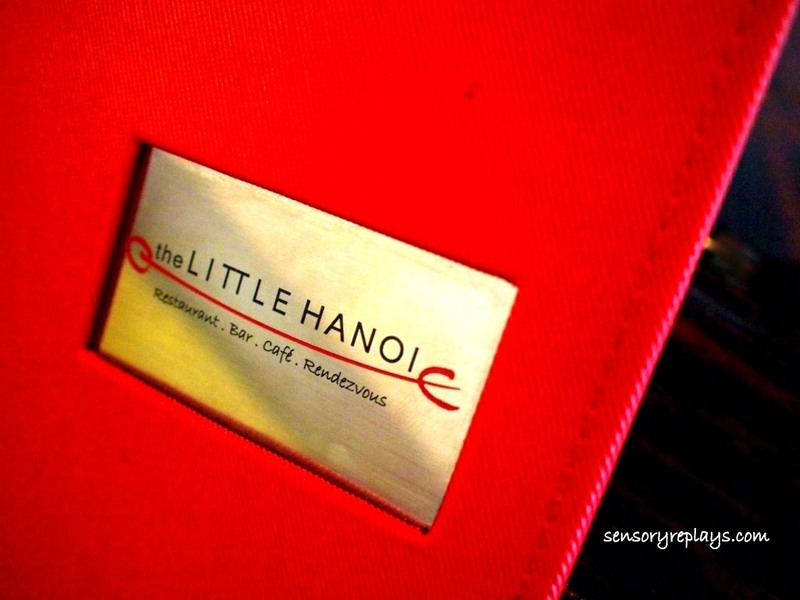 little hanoi is in 14 ta hien street, in hoan kiem district. This entry was posted in been there and tagged chicken noodles, fresh spring rolls, ginkgo, ginkgo shirts, hanoi, hoan kiem, hoan kiem district, huy hung gallery, little hanoi, lone travelling, old quarter, pho ga, solo travel, vietnam, vietnam chronicles, vietnamese chicken noodles, vietnamese fresh spring rolls. Bookmark the permalink. i would love to walk on those streets! charming! buti na lang at sharp ka rob. di ka naisahan nung taxi driver! haha! 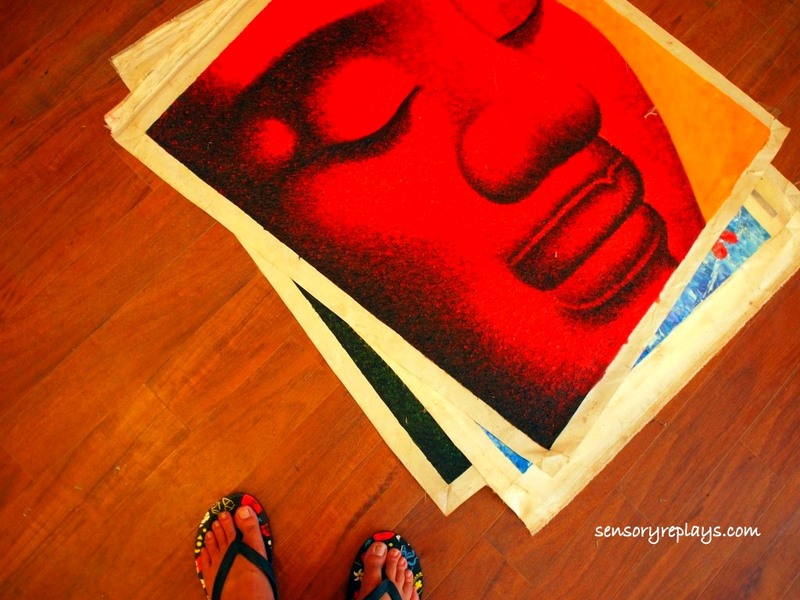 .. dai pang handicrafts dyan grace, nakakawili. yung driver, buti na lang di nya ako sinapak, parang umaakma e! sawang-sawa na ako sa mga manloloko na taxi drivers, kahit saan andun sila! 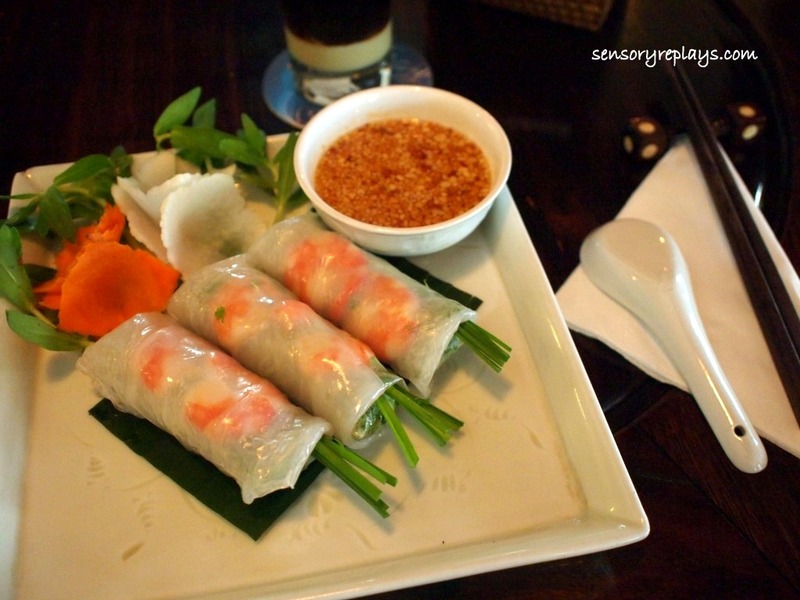 .. i loved those spring rolls, first time ko makatikim ng ganyan. kinain ko pati yung tangkay (sa gutom?! ), hahahaha! .. hi will. it’ll surely worth the visit. beautiful post, rob! fantastic captures, really! 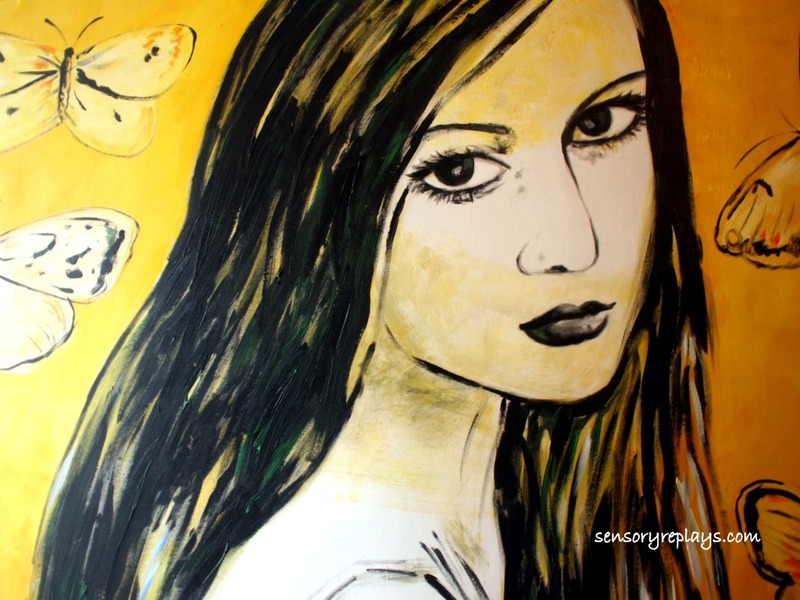 that portrait of a lady in the art gallery that you visited reminds me of lucy torres. surely, she doesn’t look like vietnamese, or perhaps with mixed ancestry. anyway, would like to go to vietnam too someday. thanks for the shirts and everything that came with it! .. thanks doc. 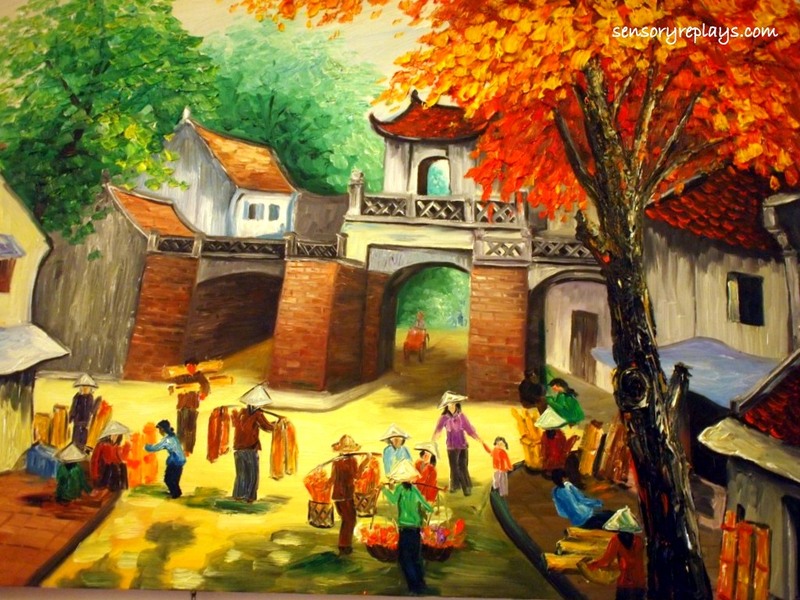 maybe you can include vietnam on your bucket list for next year, i would love to visit saigon too. .. next time, i’ll get you double xl sized shirt? hehe! .. keeping my fingers crossed to be on days off on chinese new year, that’ll be a wonderful time to visit you, tina and gab. .. hahaha. sige next trip (kaya lang dapat ipaalala mo!). .. mid october pa e – punta ko india! nakakamiss ang vietnam! i’ll definitely try to visit next time i go back. .. hi josh. ako gusto ko bumalik din for saigon or da nang.